With great hubris, I decided to start with a scratch-build. That is, the first plane I would fly would be one I built myself, not store-bought, and not from a kit. 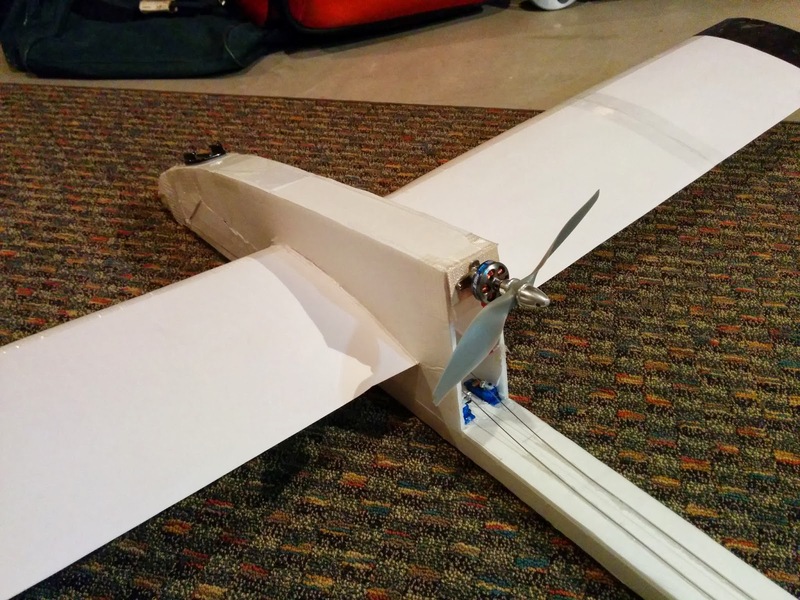 I discovered the excellent site Flite Test, which has plans and instructions for foamboard scratch builds, as well as a fantastic YouTube channel with build videos, challenges, reviews, and other great stuff. In particular, they have a design for a cool Swappable Power Pod and then a growing series of plane designs that can use that same pod. I was even able to attach a GoPro camera to the underside of the FT Flyer and capture my first (loud, frantic) HD onboard video. It shows the field in our neighborhood where I fly. It's a decent sized field, but it's long and narrow and surrounded by trees, so it's pretty constricting for RC planes. I've edited out the ending of the flight above, since it was slightly traumatic: the plane lost signal, dove straight toward me, and the blade cut deep into my right middle finger as it flew past. I still have the scar, but luckily I also still have the finger, and it healed without stitches. In retrospect, watching this video, it should have flown well, and it's clear why it didn't. I was still a terrible pilot. Knowing what I know now, and having improved as a pilot, I bet I could tweak the center of gravity and fly the Lumpy Yak just fine. Sadly, I stripped it for parts somewhere along the way. Up to this point I had only flown scratch build planes, and with mixed success. 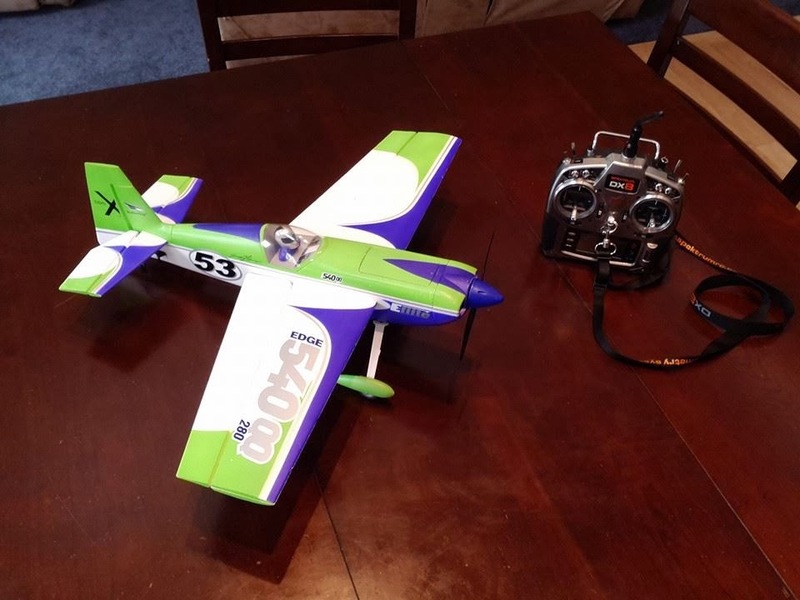 I decided it was time to swallow my pride and buy a pre-built plane, designed and assembled by professionals, so I could practice my flying without worrying about the shoddiness of the aircraft. I opted for the popular beginner 3-channel HobbyZone Champ RTF. It was refreshingly easy to fly a well-designed plane, and I spent a lot of time practicing on the Champ. Once the Champ started to feel too easy, I stepped up to the 4-channel UMX Carbon Cub SS. I honestly struggled with this plane, because it was a more challenging 4-channel (5 if you count the flaps) but still small enough to be knocked around by the wind. I only had a few flights with the thing before a crash knocked it out of commission, and after one round of fixes and then another crash, I lost interest and mothballed the Carbon Cub. 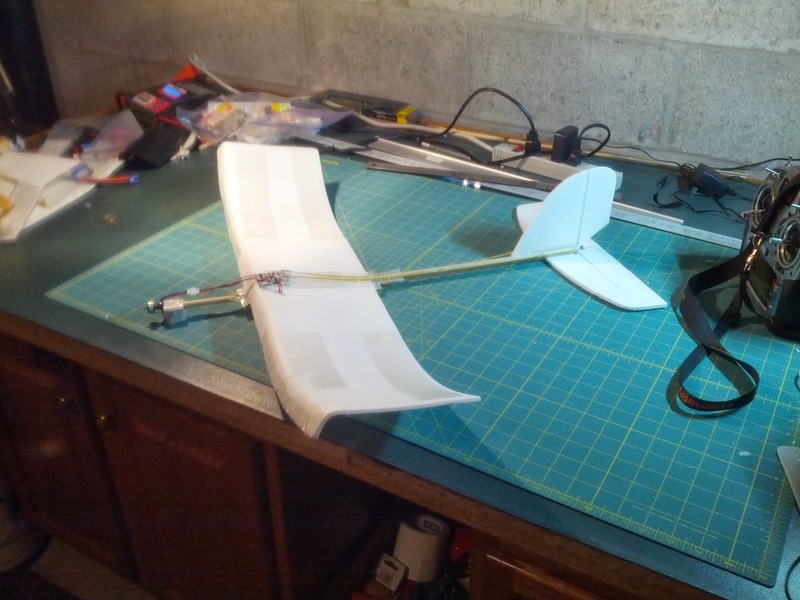 During this period I was also working on my second custom design, a pusher-prop glider designed to carry the GoPro without a propellor in the way. I'm proud to say it flew really well. 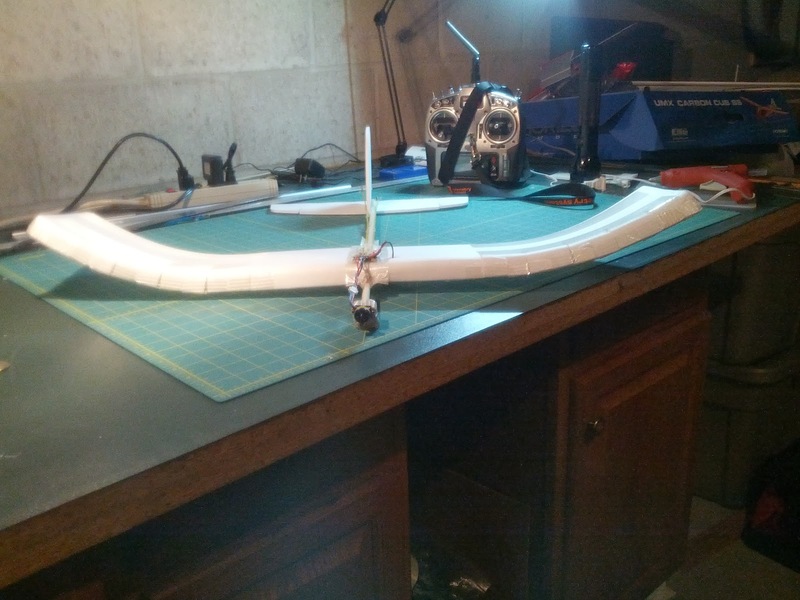 The motor was a bit underpowered and I'd like to iterate on the wing design (the front edge of the camber is too flat, creating too much drag), but it's promising. As winter approached, I started practicing 3-d (aerobatic) flying in simulator (both RealFlight 7, and Phoenix 4), and finally got up the guts to buy my first 3-d model, the Edge 540 QQ. However, the Miserable Eternal Winter of 2013-2014 started right around then, so I wasn't able to maiden that plane through the whole endless winter. 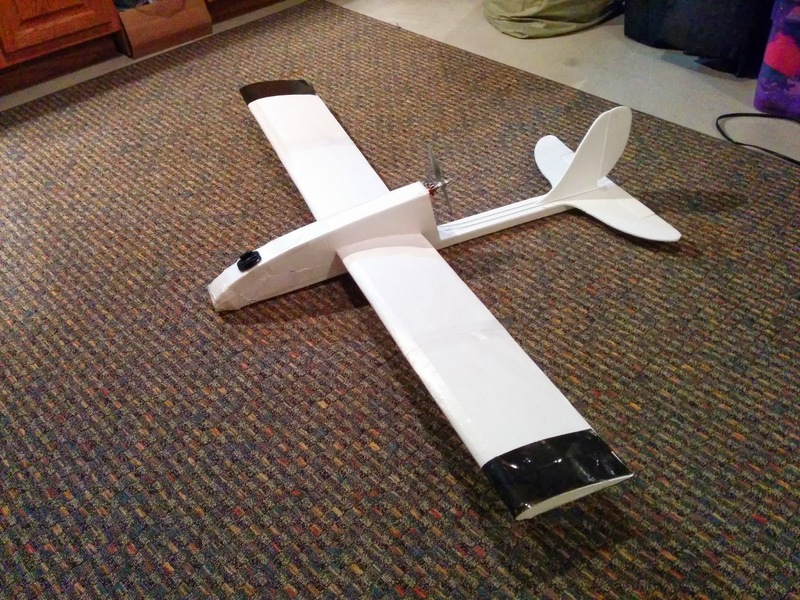 This morning, in March of 2014, I finally got to maiden the Edge 540, and it was a ton of fun. It's not yet clear if spring is here for good, but I'm chomping at the bit to get the flying season going in 2014. Practically prepared to fly (ARF) helicopters are around 90 percent gathered,beginner quadcopter reviews yet at the same time require some building and additional parts.